The rate of nursing home evictions has gone up dramatically over the last few years. This staggering increase has lawmakers and organizations rushing to implement new policies to cut back on the number of wrongful discharges. The number of nursing home evictions has doubled during the last five years in which data is available. The concern about this ongoing problem is statewide and not exclusive to only one particular chain of nursing homes, according to NPR. When a nursing home resident is wrongfully discharged, he or she may become homeless if there is not another facility lined up to take in the resident. Many of the nursing home residents who were involuntarily discharged during the last five years have wound up homeless, on loved ones’ doorsteps or at hospitals. Unfortunately, many family members are unaware of the new guidelines and may not realize when their loved one’s rights have been violated. 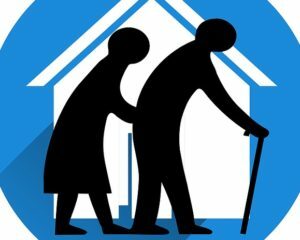 A nursing home attorney can examine the nursing home resident’s documents and medical records to determine whether the discharge meets one of the above permitted involuntary discharge bases or if action can be taken to prevent the eviction. In addition to the new guidelines, Illinois lawmakers are supporting legislation that will prevent nursing homes from tactics associated with involuntary discharge. Some nursing homes may prefer a certain type of resident, often someone who may not be perceived as difficult by staff. The new proposals seek to prohibit facilities from trying to get rid of residents who are perceived as more challenging. Additionally, the new law would order the nursing home to have a resident readmitted if he or she was found to have been wrongfully discharged and the nursing home could be charged a fine up to $250 a day when it is not in compliance.